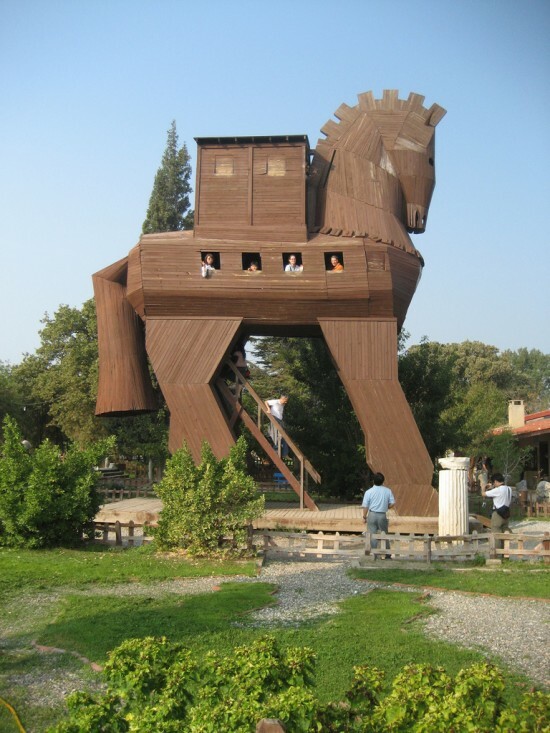 Yesterday, we wrote about PDF files that contain Trojan horse programs and how to protect yourself from them. Today, we will tell you how to recover from a devastating Trojan horse program, as a growing number of PDF Trojans seem to be crawling out of the woodwork. The first thing you should do as soon as you even suspect a Trojan infection is to disconnect your computer, laptop or even smartphone from the Internet. If you are hardwired, just disconnect the Ethernet cable. If you have a wireless connection (even if you are hardwired at the moment), turn off the wireless radio. If you have a smartphone, turn on airplane mode. If you are in a company with an IT department or person responsible for the computer health, contact them and leave the problem to the professionals. If you are in a small business without an IT person or are just an individual, continue reading. Try to back up your important files to a CD, DVD or an external USB drive. We recommend doing this first, as some Trojans tend to delete or change files. Next, scan your system with your anti-virus and anti-malware software. If your definitions are not up to date, do not connect to the Internet. Load update files from a CD or a USB thumb drive. Your anti-virus and/or anti-malware vendor will be able to help you get the files for a manual update. If your virus/malware program did not detect your Trojan, see if you have an office of your anti-virus software nearby. If you are in Silicon Valley, several of the anti-virus companies are located there and I have a friend that has taken systems or hard drives to those companies with unknown infections and received removal tools followed by updates. If you cannot clean your system, you will have to reinstall your software. Before you reinstall your software, get a program to wipe your hard drive. This is the only way to ensure the Trojan will not remain on the hard drive. Just formatting the drive will not work, as many Trojans and viruses will still remain even after a format. If you have a backup of your system before you were infected, install it now. If you do not have a full backup of your system then install your software and your programs. Make sure you install a good anti-virus suite and update it with the latest definitions. Finally, copy your files you were able to back up to your system after scanning them for malware.